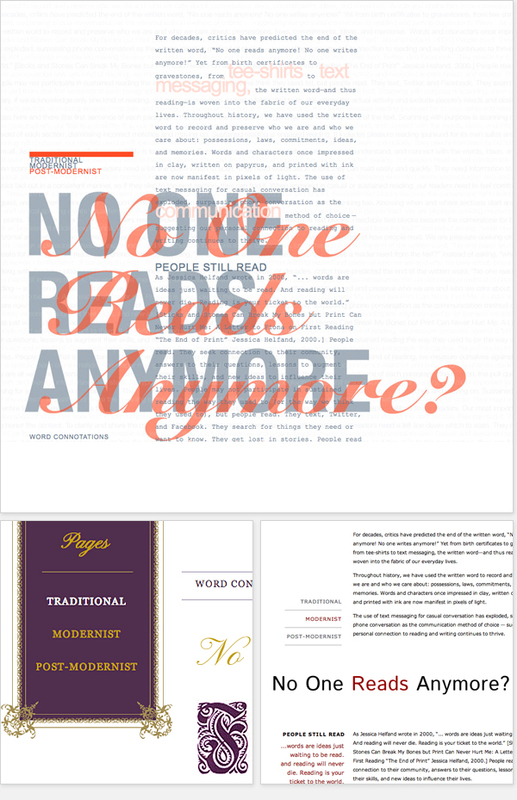 Using provided copy, design and build three sites, each depicting one of the three approaches to the typographic page: traditional, modernist and post-modernist, emphasizing the variations in content, audience and role of the designer as the historical era changed. 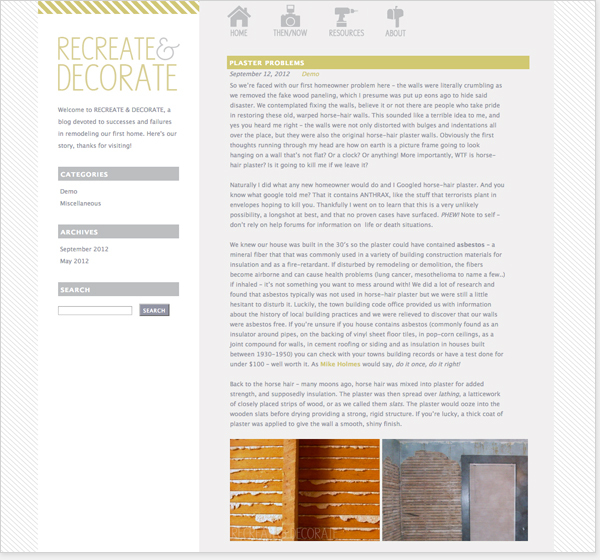 Designed and developed a custom WordPress theme to chronicle the remodeling process of my first home. The blog will not only serve as an outlet to share with friends and family, but will also serve as a reference for other homeowners or DIY-ers, providing resources and advice from my own experience. Redesign of online user profile pages to be more user-friendly and easier to navigate; from restructuring the wireframe, developing a simplified layout, incorporating company lifestyle imagery and creating storyboards for all possible scenarios. 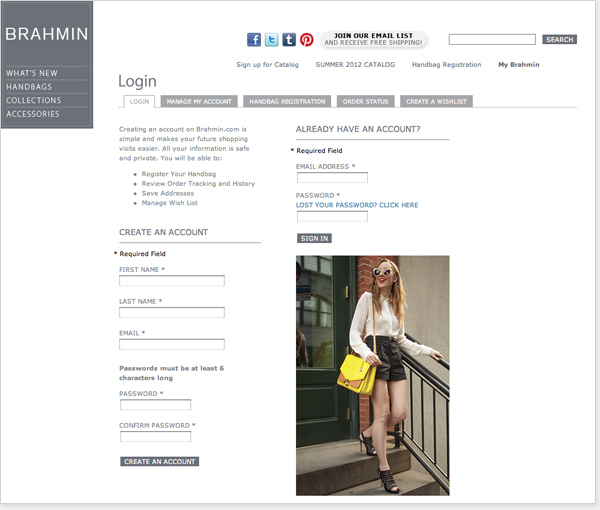 Based on research and customer feedback, new features were added to the existing Customer Profile. This redesign will help us better understand our customer and will reduce customer confusion and complaints. 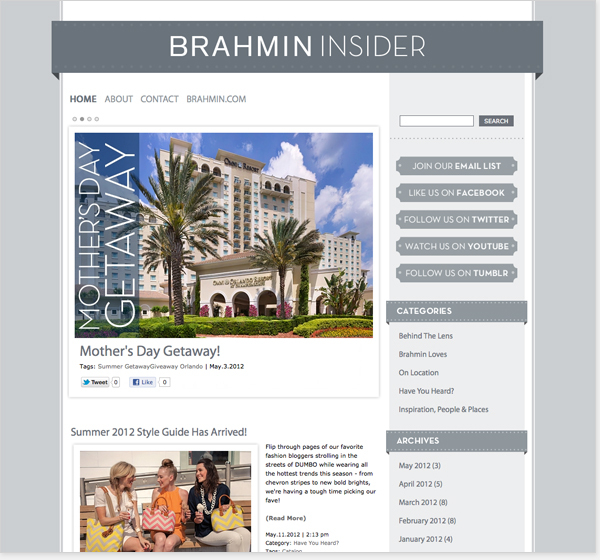 In an effort to extend Brahmin's social media outreach and better connect with customers on a more personal level, Brahmin launched a blog, featuring exclusive content. 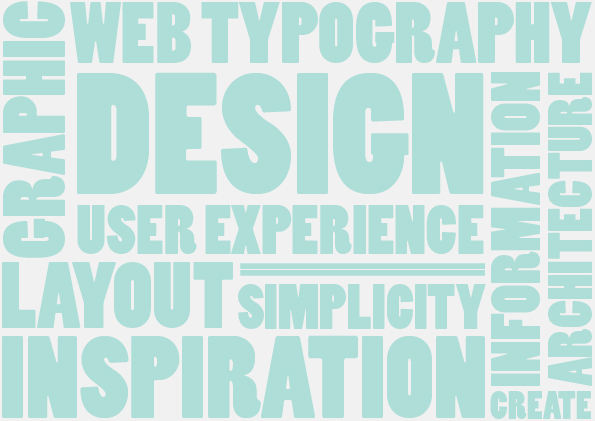 The blog was designed based on the simplicity of the brand’s current site, while incorporating graphic elements to appeal to a visual audience. Develop a strategic plan and schedule for posts, create graphic and visual content, and write copy for posts. 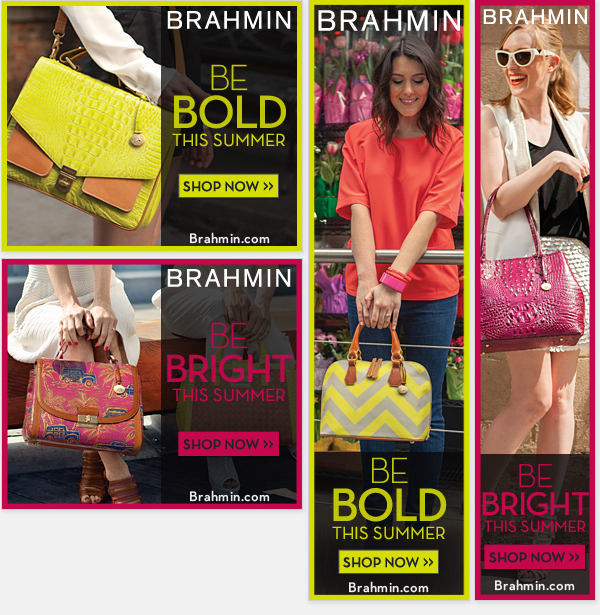 As their first online ad initiative, Brahmin launched targeted online banner advertisments to drive traffic to their site and increase conversions. Creative is updated as new product becomes available, continually analyzing performance and testing different approaches for the best results. 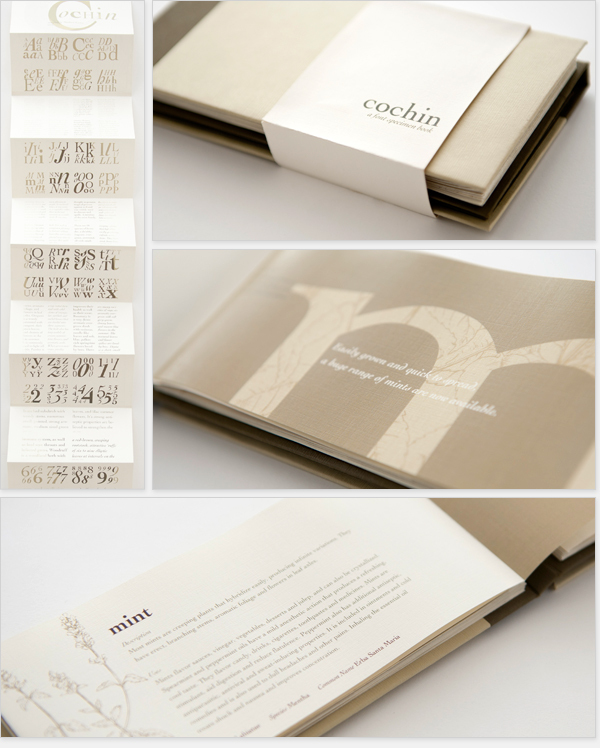 An examination of Matthew Carter's typeface, Cochin, applied to the topic of herbs. An installation of large format 3D banners that depict the history and evolution of various dance forms and their purpose over time. 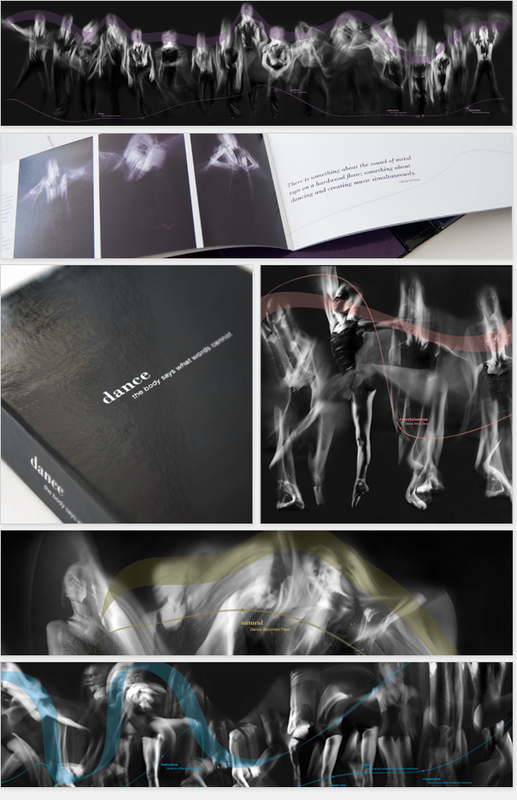 Accompanying book series further derives how the meaning of dance has evolved, as well as characteristics that differentiate the dance forms.